Captured this shot while standing outside MBS. 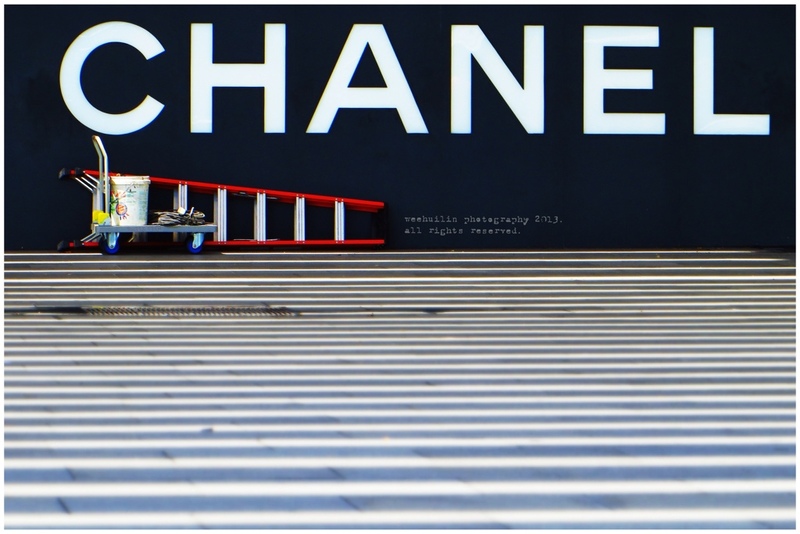 I liked the line shadows which created a zebra crossing to the brand name, Chanel. I also liked the simplicity of the whole frame, from the brand in simple sans-serif, the construction ladder in red, down to the black and white lines.